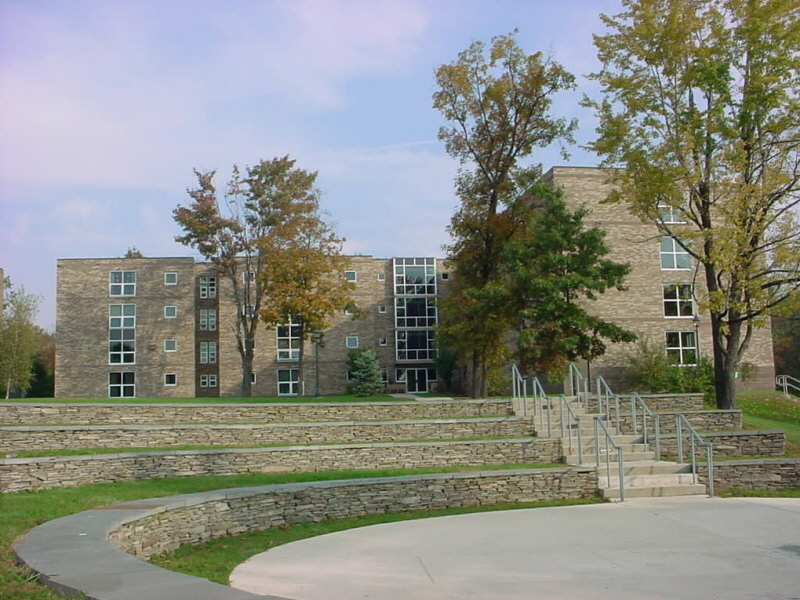 Designed as an alternative residence option for upperclassmen, College Misericordia's L-shaped Gildea Hall features four floors of suites. Each suite contains a full bath and several bedrooms grouped around a common living room. The suites house three, five or six occupants, with bedrooms that are either single or double occupancy.